World leading e-governance experts from governmental structures, business sector, academias, global organizations and social groups will meet during the IT Week in Tallinn e-Governance Conference. In May 2015, E-Goverment Academy organised first national e-Governance Conference, which will be held in Tallinn, Estonia. Opening keynote speaker of the conference was former Estonian president Mr Toomas Hendrik Ilves, but there was really impressive lineup of speakers as well. 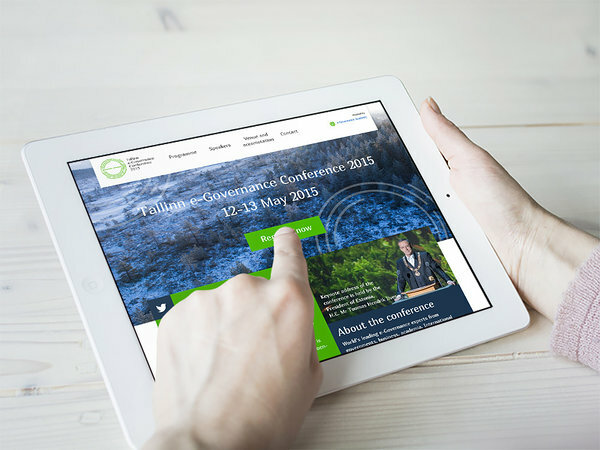 Conference website contains registration, event schedule, information pages about speakers and accommodation. Also, good introduction about Estonia with guides and beautiful nature photography. Sviiter made identity and conference website. 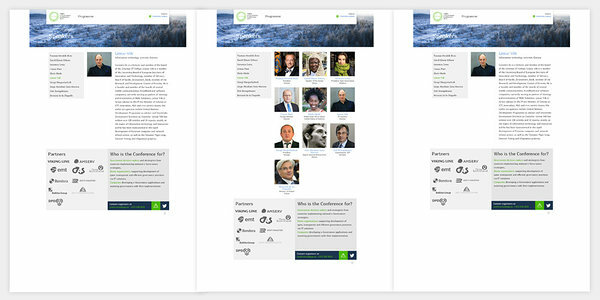 Besides website we also made logo and graphics used in the conference (Look for eGovernance Academy in portfolio).